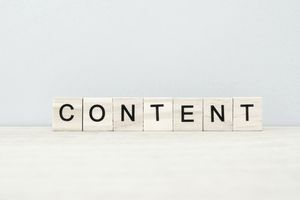 Content is king, and marketing is moving towards informing over advertising in what’s known as content marketing. Private label rights (PLR) help you save time in creating content by buying rights so that you can modify and in most cases claim ownership of materials. You can obtain PLR licenses for articles, ebooks, software, video, audio, and graphics. For example, you can buy PLR articles, rewrite them to post on your blog. Or you can buy PLR ebooks, rewrite them, and sell them. Time Savings. Instead of coming up with an idea and creating from scratch, PLR gives you the idea, the outline, and foundation from which to work. Cost efficient. Compared to hiring a writer, videographer, etc, PLR content is very affordable. Flexibility. You can change the content. Not only can you change the content, but you must change it. While you can post PRL content as is, it’s much better to rewrite it. Owning PLR rights allows you to add, delete, rearrange and revise the content. Ownership claim. Because you’re creating an entirely new piece of content, you can put your name on it and claim copyright. Non-exclusive. While many PLR suppliers limit the number of licenses sold, you’re still buying content that hundreds, even thousands of others own. That’s why revising and making it your own is crucial. Generic. PLR content is often dry and generic. Some are poorly written. It’s important to consider PLR as a framework from which to add your own flare. Restrictions. Depending on the PLR license there may be restrictions on how it can be used. For example, you may not be able to offer the content for free (i.e. through your newsletter). Although this is seen more in master resale rights (MRR) content, PLR materials may have limitations as well. Be sure to read the license carefully. Blog posts. You don’t have to blog for long to know that coming up with new ideas is difficult. PLR content provides you with ideas and the basics of an article. All you have to do is revise. Email list sign-up incentive. If you don’t have an email list, you need to create one. Now. But to get people to sign up for your list, you need to give them an incentive. PLR ebooks, videos, and other content can be provided as a freebie to subscribers. Article marketing. While article marketing doesn’t help much with SEO anymore, it can get your business information in front of someone else’s market. Like blog posts, PLR for article marketing gives you the framework from which to write an original piece you can submit to another website or blog. Sell. Creating and selling information products fits into nearly every business model. If you have a direct sales business, you can sell ebooks related to your business industry (i.e. the importance of vitamins if you sell vitamins or video of beauty tips of you selling makeup. If you’re a coach, you can sell self-paced home education courses. You can use PLR as a low-cost entry or upsell to your products or services. The key to success in PLR content is to make it your own. Text content (articles, ebooks etc) should be completely rewritten. Infuse your ideas, thoughts, and personality into the content. PLR content can often be dry and vague. Adding your own ideas and style makes it interesting for others to read and a reflection of your business and brand. Videos and audio require you have editing software to make changes. At the very least, you’ll want to re-record intros and endings to include your business information. Niche Empire - Has thousands PLR and MRR products, with more added each month. The PLR Store - An Affordable variety of products in many categories.